I hope you guys had an amazing weekend!! ‘Crazy hectic ‘would the way to describe my home scene at the moment! With the little ones falling sick one after the other, we’ve spent a fair share of last week waiting at the doctors, but the good news is –they have been feeling much better and with every little ounce of energy they gain, bouts of chaotic madness follows!! As for today’s post I would like to feature the ever so controversial Lime Crime Velvetines- The Long Lasting Liquid Lipstick. The velvetine range is truly vast with an amazing color range for everyone’s liking! From Berry pink, Cashmere (Greige),Pale Mauves to Utopian Orchid Pink-there is a color to match your wildest lipstick fantasy!! As for me, Riot and Faded are the ones I picked up! !I had been eyeing Red Velvet and Wicked but as luck would have it –those turned out to be out of stock! With Super chic and fun packaging-In Fact The labelling matches the shade of lippie and the frosted glass tube with red cap definitively made a good first impression!! The small and rounded applicator makes it easy to apply the product, the downside being it can grab a whole lot more product than what’s needed! There was good color rendering with a single coat and once dried, I went for second coat which gave a good finish to the look! Like all the other matte lipsticks out there, make sure to prep your lips to prevent any flaking. Riot described as Marsala, looked brick red/peach tone on my skin tone. 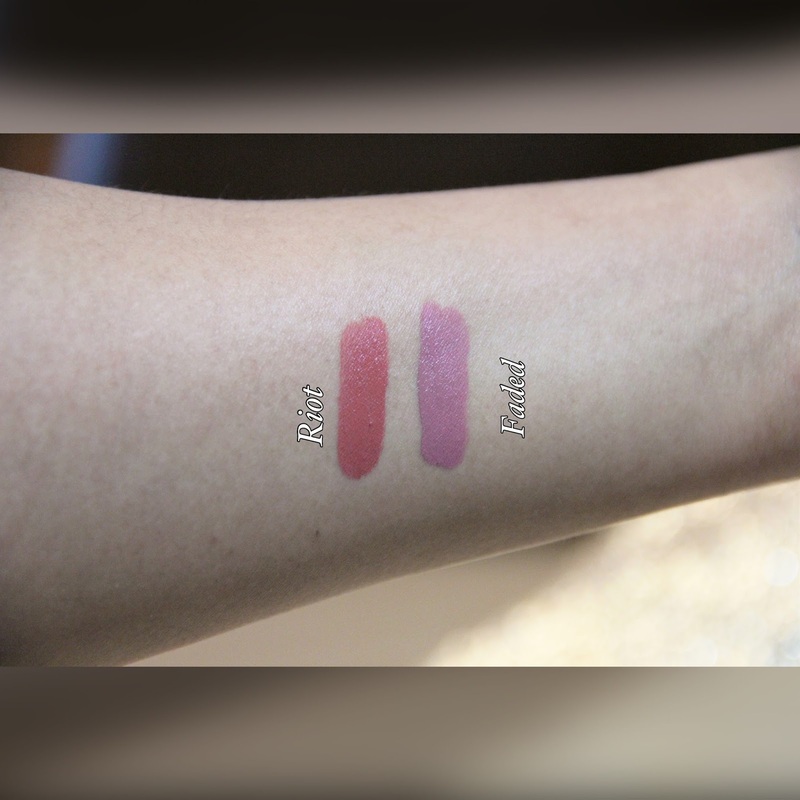 Faded described as a purple beige and again depending on lip pigmentation it can look pinkish. I got a good 5 hours wear out of both the shades,It can fade a bit if there is lot of eating and drinking involved!! I truly think its definitely worth a try and I totally get the hype and raving reviews that went about with the Velvetine Edition! At 20 Dollars its reasonably priced and you can get your velvetiness here , I used Paypal for my transaction.Mine got delivered in about 2 weeks time to my place in India! Totally looking forward to getting a few more from this range!